Raylan and Patty Edaakie are a Zuni husband-and-wife team. They collaborate on mosaic and channel inlay jewelry. 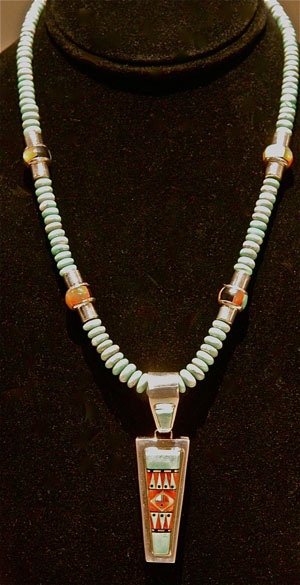 Materials in the pendant are silver, red coral, turquoise, jet.